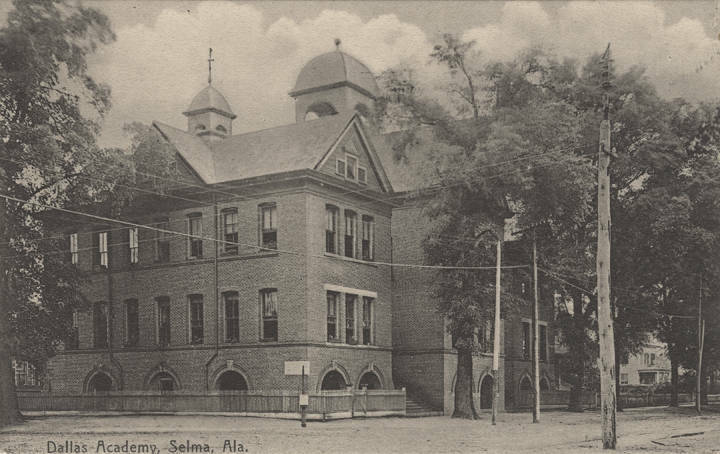 Dallas academy, an educational institution, was chartered January 25, 1845, and maintained as a public high school until 1913, when it became the Selma High School, a part of the regular public school system. The academy had its genesis in the farsighted efforts of a few patriotic women of Selma, including Mrs. William Treadwell, Mrs. Philip J. Weaver, Mrs. William Wadell, Mrs. Elias Parkman, Mrs. Isaiah Morgan, Mrs. Hugh Ferguson, Mrs. Robert L. Downman, Mrs. Robert Patteson, Mrs. John F. Conoley, Mrs. Andrew Hunter, Mrs. Stephen Maples and Mrs. Uriah Griggs. In response to their appeal the Ladies Education Society Academy, which had been organized, was chartered January 30, 1839, by the legislature, and Nicholas Childers, Robert N. Philpot, J. W. Lapsley, Elias Parkman, John W. Jones, Jeremiah Pitman and Harris Brantley were named as trustees. The board of trustees was made self-perpetuating, and the property of the society was exempted from taxation. 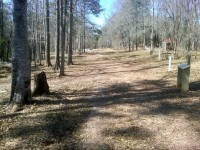 In 1844 William Johnson donated to the society the lot on the northwest corner of Alabama and Donation Streets. 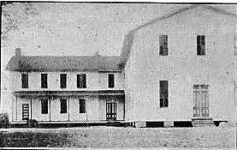 Joining forces with the Masons, a two-story brick building was erected, the lower floor for a school, and the second for use as a Masonic lodge. Prof. Lucius B. Johnson, and his wife, Harriet Johnson, were engaged as teachers. The prosperity of the school was immediate, and soon outgrew the capacity of the entire building. The Masons disposed of their interest to the society. The growth of the school was such that a reorganization of plans seemed advisable. This was effected through the repeal of the original charter, and the incorporation of the Dallas Male and Female Academy, “all the property real and personal, all the rights, Immunities and privileges” of the society being vested in a new board of trustees. The new board was made up of Philip J. Weaver, Thomas J. Frow, Wesley N. Plattenberg, John W. Jones, Peyton S. Graves, David A. Boyd, Edward W. Marks, William Seawell, George W. Gayle, Drewry Fair, and John Mitchell. In addition to the usual corporate privileges, the board was given authority to appoint a “teacher or teachers to take charge of said academy, and prescribe such a course of academical instruction in said academy, with such rates of tuition and rules for the government of the pupils, as to them shall seem proper.” Power was given “to confer degrees, grant diplomas, and do all such other acts as other institutions of similar nature are by law authorized to do.” This board was also made self-perpetuating. 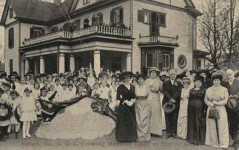 After the repeal of their charter, the Ladies Educational Society preserved its organization as a voluntary group of interested workers. It assisted in raising funds, both through entertainments and by subscriptions. Through its efforts Mr. Johnson made the gift of another lot, located at the corner of Alabama and Church Streets, the site of the present high school. The original brick building was used for boys, and the new building erected on the last named lot was for girls. 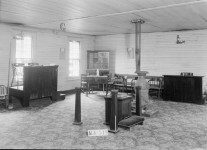 The Johnsons had come to Selma in 1842, and opened a male and female school in the old wooden Cumberland Presbyterian Church building on the corner of Church and Dallas Streets. Their second session was opened in the old wooden building used as a Presbyterian Church at the corner of Washington and Dallas Streets. In 1844 they took charge of the Dallas Academy, which was chartered in January of the next year. “In 1845, the session was opened—the brick building on Alabama street being used for the male and the wooden building at the corner of Church and Selma streets used as the female department, Prof. Johnson controlling the male, and Mrs. Johnson the female department. Thus the school continued until 1850, all the time prospering, and giving the most complete satisfaction to the public. There are hundreds of the best men and women in Alabama and other States, who were educated, and who graduated during this period of the Dallas Male and Female Academy who remember until this day Prof. L. B. Johnson and his venerable lady with the most delightful pleasure. 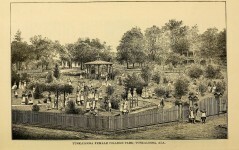 In 1851 Mr. and Mrs. Johnson were called to take charge of the Camden Male and Female Academy at Camderi, Wilcox County, leaving Selma, which was generally regretted. After these popular teachers left the Dallas Academy, the institution gradually declined, and continued to do so until the fall of 1853, when Mr. and Mrs. Johnson returned to Selma and again took charge of the institution. During their absence the building had become involved in debt, and the brick building for the male department had gone into the hands of Col. P. J. Weaver. In October, however, a female school was opened in the wooden building, the death of Prof. L. B. Johnson taking place on the 6th day of October, 1853, just six days after the opening of the school. Mrs. Johnson, notwithstanding her troubles, continued to conduct the school until the end of the session. The temporary suspension in 1864 continued until 1866, when the academy was reopened by the trustees. The buildings were repaired, and Prof. W. B. Seals and wife, of Columbus, Georgia, were placed in charge. Prof. Seals resigned at the close of the session of 1868, finding the school wholly unremunerative. 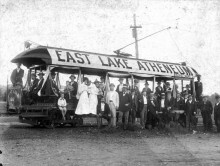 About this time began the movement, resulting in the permanent organization of the public school system of the city of Selma. 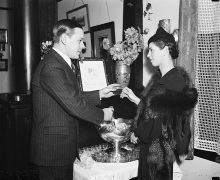 The citizens had organized to consider a donation from the Peabody fund, a gift of $2,000 to be available when Selma had raised a sum double that amount. The necessary subscription having been raised, a school board was elected, consisting of Joseph R. John, Joseph Hardie, George O. Baker, George Peacock, Charles M. Shelley, A. G. Mabry, James M. Dedman, Edward Woods, John White, James W. Lapsley, and S. C. Pearce. The trustees of the Dallas Academy, after conferences with the school board, reorganized by the election of those just named to the position of trustees of the academy. 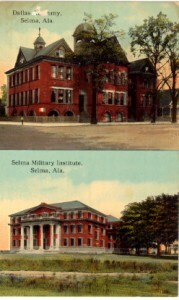 Plans for opening were then perfected, in which separate schools were provided for boys and girls, and a mixed school in East Selma. Capt. N. D. Cross was elected principal and superintendent in 1868. In 1869 the State board of education established the city of Selma as a separate school district. Small appropriations were made from the general public school fund. Capt. Cross continued in his position three years, declining a reelection. Prof. G. A. Woodward of Talladega was chosen as his successor, and in October, 1871, the schools opened as usual. Prof. Woodward served for eleven years, retiring in 1882. He was succeeded by Prof. Richard E. Hardaway, who died in 1907, while serving as superintendent. His successor was Miss Emily F. Ferguson, who held the position one year, and she in turn was succeeded by Prof. Arthur F. Harman in 1908. Dallas Academy, Annual announcement, with history, statistics, etc., 1888. Much in this article of which I knew nothing. Regrettably, there is no reference to the “peculiar institution of slavery” in these articles and the role it played, either in the construction of the fine building or in the lives of the caring women who were listed as founders, or if the school was for white only. It would be remarkable if white Freemasons alone built the fine structure, but perhaps they did. 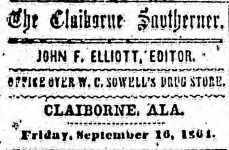 An Editorial Footnote would be most helpful for modern-day readers and students, given the important history of Selma in Alabama’s development, in the Civil War, and in Civil Rights. Robert the title of the story provided your answer to your question on slavery. If slavery was meant to be mentioned then it would be in the story, right? Undoubtedly you don’t realize that Free Masons were brick & stone workers and Etc. Now why would you need a slave when you are going to do all the work yourself? I’m not being ugly here, but if it makes you feel better they probably had a slave cooking Bar-B-Q for lunch to the workers? But, most likely their wives provided the meals to the Free Masons. The school back then would have been for white only. Because they didn’t believe in teaching the slaves to read or write because their only purpose was to work the Plantations and you didn’t need education for that. And since you believe in the development of Selma’s Civil War & Civil rights then you would want to push and urge the black folk not to hide History but promote it. Civil War General Nathan Bedford Forrest “Wizard Of Saddle” was Selma’s true hero. He took on the Yankees by himself when they raided Selma by running a herd of horses down the middle of the city trying to run them over and shot all his bullets at them. And most black people thought Forrest hated blacks but not true! During a Civil War battle raid some black slave women was trying to run for cover and got caught in the middle of the gunfire battle and General Forrest risked his own life and rode out in between the black women and the Yankees & gunfire and shielded the women and helped them to safety. Now I ask you, does that sound like a man with hate or compassion for mere black slave women to risk his own life??? And the many ignorant people of true history continue to believe that Forrest started the Ku Klux Klan to wipe out the blacks which is not true! He did start the KKK because he wanted to “scare away” the carpetbaggers & certain blacks who chose to side with the Northern carpetbaggers trying to take over the Southerners land because they couldn’t pay the tax, and they used the help of certain blacks. Therefore it was only scare tactics. But when other KKK groups started to form and begun to hang the certain blacks for helping to take away people’s land was when Forrest told them to quit and stop the killings because that was not what the Klan was formed to do. When it got out of hand and they wouldn’t listen to reason was when Forrest quit the klan and said he would not be a part of such killings. Then he informed certain law makers of what was going on with the Klan to stop their wrong doings! Now I ask you, does that sound like a man who hated blacks??? So, Selma needs to promote Forrest because of the wrong information that they have been led to believe? The Northerners hated Forest because they could never kill him during battles even though 22 horses were shot out from under Nate. They used the Klan title as a way to get back to him and he became the “scape goat” for their purpose to smear his War Character & Honor as one of the greatest Civil War Generals. And by the way, Forrest let all his slaves go free before the Civil War started. *The Civil War was NOT about slavery! Slavery was only one(1) issue. The war was fought over The Secession of Rights against Northern Aggression(Yankees) trying to tell Southerners how and what to do. 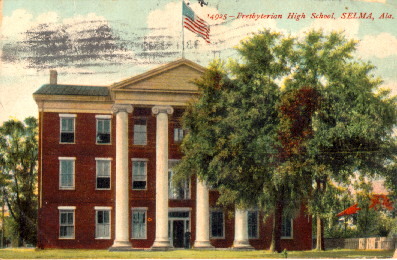 Picture of the Presbyterian High School in Selma bears an uncanny resemblance to what was the Methodist Children’s Home which operated from 1920s until the church closed it a few years ago and sold the property to a college. Thank you for catching that. I have it corrected on the site now. 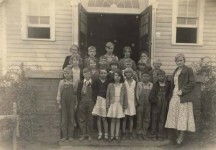 I pulled the picture from the Encyclopedia of Alabama http://www.encyclopediaofalabama.org/article/m-2254 It was labeled Dallas Academy and came from the Birmingham Public Library so I assume that there were two Dallas Academies, the one in the photo is in Cahawba before Selma’s, Dallas Academy. Sorry for the confusion.. Thank you for catching that. I have it corrected on the site now. I pulled the picture from the Encyclopedia of Alabama http://www.encyclopediaofalabama.org/article/m-2254 It was labeled Dallas Academy and came from the Birmingham Public Library so I assume that there were two Dallas Academies, the one in the photo is in Cahawba before Selma’s, Dallas Academy. Sorry for the confusion. Yes. Masons started the public schools in in the US.